I am, first and foremost, an advocate of the horse. My wish is for horses to live happy, healthy lives, achieving their full potential and enjoying their work. It is my goal as a trainer to help foster a partnership between horse and rider that is based on mutual respect, trust, and understanding. 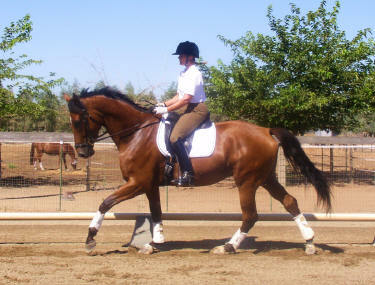 I look at each horse as an individual and tailor the training to suit his/her particular needs. My emphasis is on relaxation, elasticity, connection, straightness, and purity of movement in order to achieve and maintain balance. It is only when this balance is attained that the horse can show its true beauty and potential. 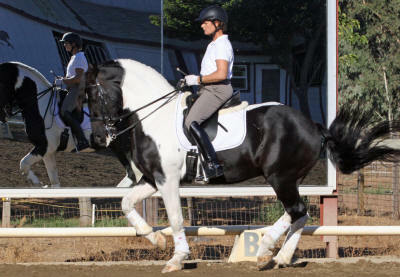 My goals for training riders begin with providing a sound theoretical foundation in dressage. For learning to take place, riders must feel safe, both physically and emotionally, and I try to provide such an environment. My teaching style provides riders with a systematic approach to their training while allowing exploration off the beaten path. 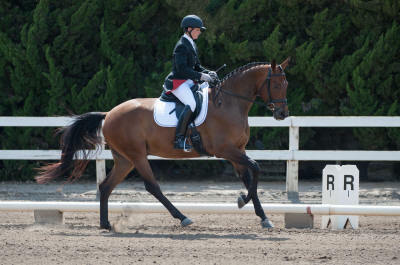 My focus on rider position and biomechanics enables riders to positively influence the horse. In addition to the training under saddle, I strive to produce well-rounded horsemen who have knowledge in the areas of horse behavior, stable management, anatomy, biomechanics, lungeing, nutrition, and other aspects needed to keep horses in top form. At First Chance Farm, great attention is paid to every aspect of our horsesï¿½ needs. We want happy, healthy horses and pride ourselves in the care we provide. Boarding at First Chance Farm is available for horses in full training which consists of under saddle training, lessons, lungeing, long reining/in-hand work or a combination of these five days per week. Trailer-in lessons are available as well. 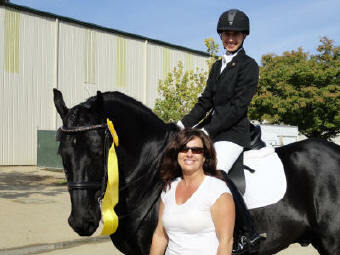 Coaching at shows is available to regular students. Heidiï¿½s students have enjoyed success at local, regional and nationally rated shows with many championships and top three placings. Fees vary depending on location and number of students. Heidi Chote is available for one to three day clinics. Fees based on location and number of participants.